Just a reminder that the 16th Annual Canadian Breast Cancer Foundation CIBC Run for the Cure is Sunday, September 30, 2007. The Canadian Breast Cancer Foundation CIBC Run for the Cure – It’s an extraordinary single-day experience that unites more than 170,000 Canadians in 53 communities across the country. Together, we’re raising millions of dollars to fund innovative and relevant breast cancer research, education and awareness programs in the communities where you live. Here is a link to where the run in St. Catharines will be held: CIBC Run for the Cure. Here is a link to the home page for the Canadian Breast Cancer Foundation: CIBC. In memory of our dear friend, Lana Thompson, we’ve included two photos. Lowest Rent Increase Rate Ever! At only 1.4 percent, the Ontario Rent Increase guideline for 2008 will be the lowest guideline since rent increase guidelines were introduced more than 30 years ago. The 2008 Guideline was calculated for the first time under the New Residential Tenancies Act which took effect January 31, 2007, and is based on the Ontario Consumer Price Index – a measure of inflation calculated by Statistics Canada. The Provincial government says by linking the rent increase guideline to the price index, tenants will be protected from receiving a rent increase well above inflation. The move was made to ensure that landlords could recover the increase in their costs, while tenants can still pay their rent. The rent increase guideline is the maximum amount by which a landlord can increase the rent of a tenant without seeking the approval of the Landlord and Tenant Board. Guidelines have been calculated each year since 1975, ranging between 1.5 percent and 8 percent. Most tenants in Ontario receive an annual rent increase that is at or below the amount of the guideline. The 2008 Guideline will only apply to rent increases that occur between January 1 and December 31, 2008. UPDATE: This property has been sold! Please use our online complimentary St. Catharines Ontario real estate search to find similar available listings. Stop looking…This is ‘the one’! 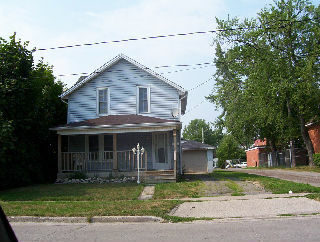 1.5 storey home approximately 1,200 sq. ft.
Elayne Whitfield began her Virtual Assistant practice, Executive Assistance, in September 2000 and incorporated Executive Assistance Business Solutions Inc. in May 2005. She graduated from the University of Western Ontario in 1987 and worked for several years in various support and management positions before relocating to Barrie, Ontario to raise her three sons (5, 9, and 15) and start her business. A Virtual Assistant (VA) is an entrepreneur specializing in business support services, virtually, allowing other entrepreneurs to attend to the revenue producing activities necessary to their own business. Virtual assistance is simply administrative support offered online rather than face-to-face. Executive Assistance also provides other support services such as Website design and maintenance, Search Engine Optimization, graphic design, desktop publishing, and bookkeeping. Elayne and I began working together in 2000. She initially handled my Website maintenance but not takes care of the Website, my blog, my SEO (Search Engine Optimization), mailings, and other projects as they come up. Elayne and her family are avid boaters and spend every possible minute on their Silverton 402 in the Georgian Bay area. Elayne and her husband, Tim, curl, golf and and spend most of their spare time running around after their three boys.